Extra seats still being discussed | Daily Express Online, Sabah, Malaysia. 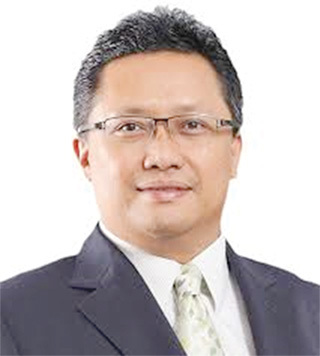 Kota Kinabalu: There is still room for discussion between the Prime Minister and Chief Minister on whether Sabah should go into the imminent 14th General Election (GE14) based on the existing 60 State seats or with the addition of another 13.Minister in the Prime Minister's Department Datuk Seri Abdul Rahman Dahlan (pic) said there are various opinions on whether the gazetted 13 new State seats by the State Assembly should be endorsed by the Parliament. "I believe whatever the decision, we are ready to face the opposition regardless of the new seats with our track record and vast experience. "Honestly there is no government in the world that is 100 per cent perfect…none, but the people should not look into one or two issues that (may) discourage them to give the mandate because we want to look after the country and the mandate needs to be given so as to further consolidate the Barisan Nasional (BN)," he said. Rahman was speaking after opening a Road Safety Club of SMK Inanam and officiating the annual meeting of Parent Teacher Association (PTA) SMK Inanam at the school hall, Friday. Also present were school's Principal Mozidah Hamzah and PTA Chairperson Ramlah Basri as well as community leaders, parents and students. Rahman who is also BN Sabah Secretary was commenting on talk that the 13 new State seats would be endorsed by Parliament in its on-going sitting. On Aug 16, 2016, the paper reported that State Legislative Assembly had approved a Bill to add 13 new state seats in its existing 60 State seats which totalled up to 73 seats that are expected to be contested in the next general election. However, the gazetted 13 news State seats has yet to materialise pending endorsement from the Parliament. Deputy Prime Minister Datuk Dr Ahmad Zahid Hamidi on Tuesday was reported as saying that the motion on the re-delineation of election boundaries will be tabled at the Parliament only and need not go to Dewan Negara level. He said the motion to be tabled by the head of the parliamentary council, only needed a simple majority of 111 out of the 220 MPs. Zahid said as soon as the motion is passed at the Parliament and received the assent of the Yang Di-Pertuan Agong for gazetting, it becomes a motion and need not be taken to the Dewan Negara. On preparation of BN Sabah for the GE14, Rahman who is also the National BN Secretary said all quarters need to play a strategic role towards achieving absolute victory while earning greater votes at the national level. "I always say in Sabah that we need to be more strategic where we have the 25 seats (parliamentary seats) and if we can deliver all these 25 seats to BN, we can be the biggest voice in three places. "Our voice will be the loudest in three meetings namely one at Merdeka hall in PWTC, Kuala Lumpur as Umno Sabah will have stronger voices and we will be heard, and our friends in the peninsula will clearly see and listen to our voice. "Second, our voice will also be heard in the Umno Supreme Council meeting and thirdly, the most important meeting is in the Federal Cabinet quorum. I believe when we are stronger and united, we can deliver the 25 seats and our voice will be louder, and thus this is our agenda as a group." Rahmanm, who is also the National BN Communication Strategic Director, has advised the people in Sabah not to simply cast their votes indiscriminately to opposition parties which could not afford to form the government. He said such strategy would boomerang on them and can cause the voice in Sabah to become smaller and problematic at the national level. On speculation that he would be contesting in Sepanggar parliament, Rahman who is also the Kota Belud MP, said it would be up to Prime Minister Datuk Seri Najib Razak and Chief Minister Tan Sri Musa Aman who is also BN Sabah Chairman on suitability aspect. Rahman said his presence in Sepanggar lately was merely to discharge his duty and responsibility as the Minister in charge of Economic Planning Unit (EPU) apart from seeing Sepanggar having huge potential to be developed in various economic and social aspects. Earlier, Rahman said he was impressed with a futsal court building in SMK Inanam which cost RM2.4 million and to be equipped with lights for students to use at night. He said the huge area of the futsal building and equipped with proper sport equipment in the school would be an example and a model for any school in Malaysia that want to have a futsal court. Mozidah said there was a need to set up the Road Safety Club due to lack of awareness among the students who place less importance on safety. "The main reason the school decided to establish this Road Safety Club was to emphasis on the importance of complying with traffic regulations following a tragedy involving one of our students who died in a road accident on Feb 1, last year, when he drove a car without driving licence and without the knowledge of his parents as well as overloading it. "Also, many of our students are riding motorcycles to school and they are being ignorant on the road safety aspect as many do not wear helmets, do not have driving licence and the motorcycles are in bad condition that could endanger their lives," she said.